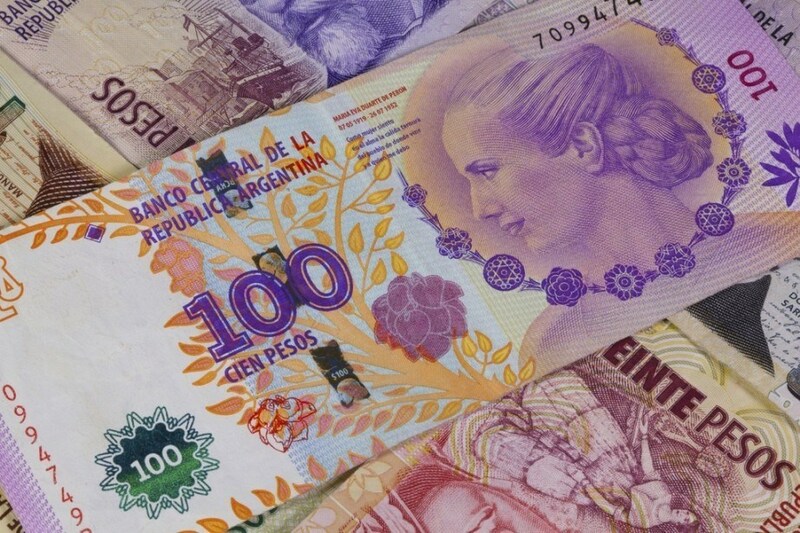 This time we’ll focus on the currency used in Argentina – the peso. It has gone through many iterations over the past century, with the currency we know today significantly different from previous incarnations. Before 1826, the name peso was still used to refer to the eight-real coins used throughout Spanish colonies (think pirates and pieces of eight). Even after independence, the eight-real coins remained in circulation until 1881, though they were supplemented by other coins denominated in reales, escudos, and soles as well as two bills; the peso fuerte (which was convertible at a rate of 17 to one Spanish ounce of fine gold) and the non-convertible peso moneda corriente (everyday currency). These currencies were replaced in 1881 by gold and silver peso coins as well the paper peso moneda nacional (which replaced the peso moneda corriente at a rate of 25 to 1). This setup persisted until 1970, at which time the peso ley replaced the entire existing system at a rate of 1 ley to 100 nacional. There were then another two iterations of the peso (the peso argentina in 1983 at a value of 1 to 10,000 ley and the austral in 1985 at 1 to 1000 peso argentina). Got all that? Things got slightly simpler from 1992 onwards with the introduction of the current peso at a rate of 1 to 10,000 australes. While the rate and central bank strategy has fluctuated drastically since then, the new peso has remained in place, putting an end to the revolving door of currencies – at least for now. The current series of banknotes largely began circulation around 1992, though there have been updates and later editions of certain denominations. Bills printed before 2002 have text noting that it is of equal value to a US dollar, but this is not the case with newer bills. With the exception of a new variation of the $50 bill, all notes feature famous Argentinians. These include (among others) Bartolomé Mitre and Eva Perón. The new $50 bill – issued this past March – features the Falkland Islands (or Islas Malvinas in Spanish). The reverse of the bills generally displays art or landmarks either in Argentina or with some significance to Argentine culture and history. 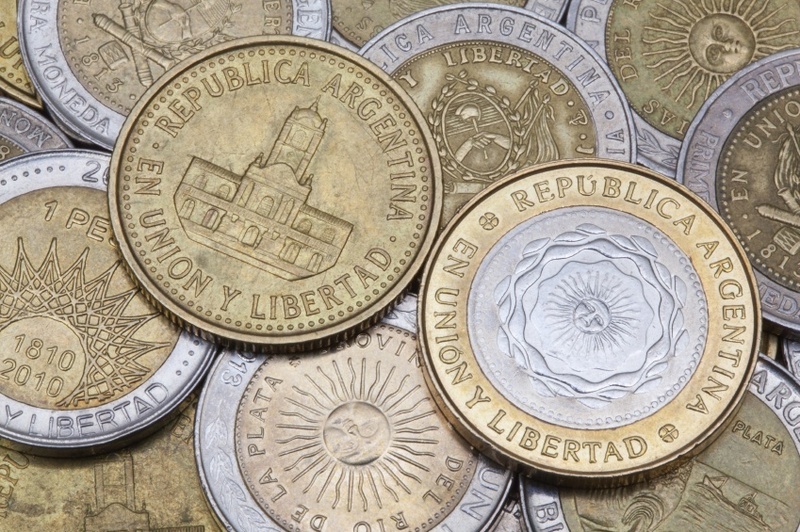 Coins are often rare or difficult to use in Argentina, particularly in major cities such as Buenos Aires. ATM’s generally only spit out high denomination bills, shopkeepers decline to use them, and bus companies sometimes even sell coins on the black market for a markup instead of putting them in banks. Fortunately, this has improved slightly since the end of a turn of the century financial crisis. The increased amount of electronic payment methods has helped alleviate the problem to a degree as well. The peso has gone through numerous iterations, updates, and complete overhauls over the last century. We’ll focus mostly on the value of the current peso, the ARS. Thanks to replacements and inflation, the currency used in Argentina has seen thirteen zeroes dropped over the last several decades, which is equivalent to a staggering factor of ten trillion (a peso today would be worth ten trillion of what was used in 1970). 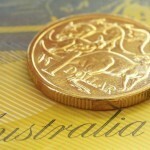 From when it was first introduced in 1992 until the end of 2001, the ARS was on a fixed, equal value with the USD. Because of this, the Central Bank had large foreign exchange reserves, as they needed an equal amount of USD in reserve as ARS in circulation. Following the early 2000’s financial crisis, the ARS has fluctuated on the market, to varying fortunes. The government attempted to keep the value at 3 ARS to 1 USD for a time, though this strategy was later abandoned. The rate stayed below 4 ARS to 1 USD while slowly depreciating until 2011. Recently, the ARS has been devalued significantly against the USD with a very sharp decline around the beginning of 2014. Currently the ARS has reached all time lows against the USD at a value that’s more than 9 ARS to 1 USD. The economy of Argentina is relatively large (the third largest in Latin America) and the country enjoys a decently high quality of life. However, the chaotic 20th century hurt the country, beginning with the First World War and spiraling downwards from there. From the 7th largest and one of the most promising economies in the world in 1908, Argentina has since resigned itself to being a regional player (albeit a smaller one than rival Brazil) and middle power on the world stage. Today, Argentina’s economy is built around agricultural exports, natural resources, industry, and a high literacy rate among the population. Agriculture accounts for about 9% of GDP, with the country ranking high amongst production and exportation of beef, citrus, wheat, sunflower seeds, maize, and many other crops. Wine production and revenue is also greatly increasing with the potential for much more growth. Metals and minerals can be found throughout the country, ranging from gold to silver to zinc. In addition, oil fields in Patagonia and Cuyo and other similar deposits help make the country self sufficient in petroleum and natural gas. Manufacturing accounts for about 15% of GDP and has an extremely diversified component base – including food processing, vehicles and auto parts, biodiesel, steel, electronics, and more. Finally the service sector accounts for around 60% of GDP, which includes telecommunications and an increasingly important tourism industry. Argentine currency has undergone more reissues, iterations, and updates than we really have space to discuss fully. 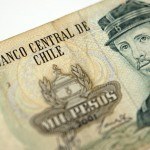 The peso seems to be here to stay, however the recent plunges in value could eventually change this. So while Argentina may not have lived up to its potential at the beginning of the 20th century, it remains in good shape thanks to its diversified economy and regional position. For a broader understanding of Argentine history and culture check out our Country of the Week profile. For information about traveling to Argentina then be sure to follow our Travel Guide.